Animals are angels, teachers, guides and healers. When we learn how to talk to animals, we discover how to recognize, respect and revere them for who they really are. The profound process is a spiritual journey because learning how to talk to animals helps humans become better people. It’s an extraordinary, life changing experience because animals have a lot to say. For instance, consider this incredibly true story of how I talked to a komodo dragon, and how that changed my life. Every month, my Animal Talk Coaching Club students (graduates of the How to Talk to Animals Beginning Core Foundations course as well as Advanced Animal Talk Mastery course), gather to practice talking with animals so they can improve their intuitive skills and confidence. That sunny day in June, we went on a fieldtrip to the San Antonio Zoo. The student’s assignment was to wander through the zoo, find and talk to animals who were willing to talk to them. What were their stories? Where did they come from? How did they get where they are now? Tell us about their family life, their experience living in a zoo? We were humbled to discover so very many wonderful wise ones (defined as master teachers, gurus, healers, guides and angels disguised as animals), all there waiting for us to talk at the zoo. Some students felt confident that they could be of service to the animals by simply taking the time to connect and communicate. They’ve learned that often deep healing, growth and evolvement comes from the simple act of attentive listening, acknowledging and respecting other’s experiences, insights and truth. Eagerly they set off on their mission. But other highly sensitive animal talk students lingered, worrying about talking to these zoo animals, fearing they would hear stories of abuse, trauma, loneliness, depression, sadness and anger. In tears, they asked for my advice about how to handle the painful emotional stories they were convinced they would hear. I told them to not be afraid. Instead, choose to be courageous and fully present, to listen carefully with their heart to what the animal had to say. Then, be sure to ask the right questions in the right way and in the right time so the animal felt safe and understood. Feel what will be expressed and allow their emotions and reactions to surface. Take time to honor that. Finally, offer compassion, acknowledgment, and appreciation for being able to hear the animal’s voices. In this way, they would serve the animals by letting them know that a human truly cared about what happened to them. Many times healing occurs just through the art of listening and heartfelt conversation. Nothing more is needed. Bravely we all stepped forward, following our hearts and intuitive guidance to take us where we were needed most. The cacophony of sights, sounds and smells bombarded me as I tuned in and asked for guidance. Delighted that I had noticed him, he turned to look straight at me standing some distance away across the enclosure behind the glass retainer wall. I had no idea how this conversation would go or how profound the opportunity being presented to me was, but I felt thrilled to commune with him. Was he interested in sharing his experiences, or dispensing advice or enlightenment for a human woman? After we greeted each other properly, I told him who I was and what I was doing there. Tears sprang to my eyes as his compassion, spirit and big heart touched me deeply. I’d been divorced recently. 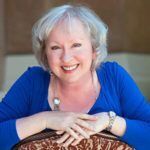 After living with my husband of almost 18 years, I found myself struggling with issues around personal safety. I was feeling trapped by an intense fear of being alone at home with no one to protect me. I felt restless, anxious, depressed and skittish, jumping at every little noise. Taking what seemed at the time like appropriate measures to protect myself, I had fearfully withdrawn into my shell. I was miserable and unhappy, and didn’t know how to recover my mojo again. So I decided to ask for his advice. He immediately informed me that I was experiencing such fear because I was identifying myself as a prey animal and had taken on the mindset of the hunted, not the hunter. He told me that I must identify myself with predator energy and take my power and self-respect back. Predators respect other predators and usually give space and back off. I must choose to defend myself on all levels, to set proper boundaries. It may not be necessary to actually fight, but it is my right and responsibility to respect myself and my space. His message had the impact of a sonic boom on my Spirit! He was exactly right. His message was so surprising, I had never considered things from that perspective before. But now? I realized that by embracing and embodying my fear, I had been energetically attracting negative unwanted dangerous attention. And a fundamental Universal Truth is that what we focus on expands. What we fear, if we let it run our lives, will often come to pass because we draw it to us. With relief, my shoulders straightened as I smiled with joy, and I grew tall, standing proud in my own skin. I was no longer afraid of my own shadow. I realized that I am a strong, powerful, confident woman, a leader in my field. From that moment on, my life changed for the better. I’ll always remember and be grateful for the komodo dragon’s words of wisdom. When we know how to talk to animals, we discover that some of the best teaching and advice we’ll ever receive will come from the animals we’ve known, worked with and loved. They all have something wonderful to teach us. Learning how to talk to animals is about sharing information energetically and telepathically. The ability to share life experiences with other beings, no matter what body they are wearing, is a priceless gift and opportunity. Through the process of connection and communication, it allows us to better understand and KNOW that we are not alone. We are connected with other sentient intelligent beings. And, that we can help each other. Animals of all kinds and species, from the littlest to the biggest, have a lot to say when we know how to talk to them. Like us, they want to be heard on all levels of their life. Knowing what animals think, feel and experience can change everything in the way you take care of your pet, and is THE foundation for a great relationship! 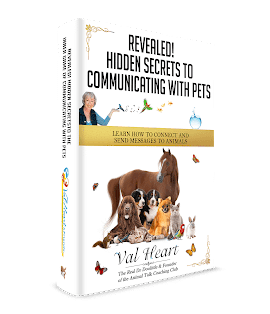 My complete Heart School of Animal Communication system illustrates why learning how to talk to animals is such a personal, spiritual journey. When you know how to talk to animals, they partner up with you so you can solve problems together and enrich each other’s lives by sharing insights, inspiration and deepen your bonding. This story addressed my fears of being overwhelmed by messages of animal despair. Although I’m not ready now because of life circumstances, this is the most ready I have ever been. We met in 2000 when I was getting ready to move away from San Antonio. The last animal you worked with was Dundee. He died peacefully in 2013 at age 17 yrs. and 4 mos. Interesting post. It is of paramount importance to understand your pets behaviour, helping you give them the best care. Hi Skye, yes you’re exactly right. Talking with them helps you understand their unique perspective and point of view, what is needed and what is not helping.